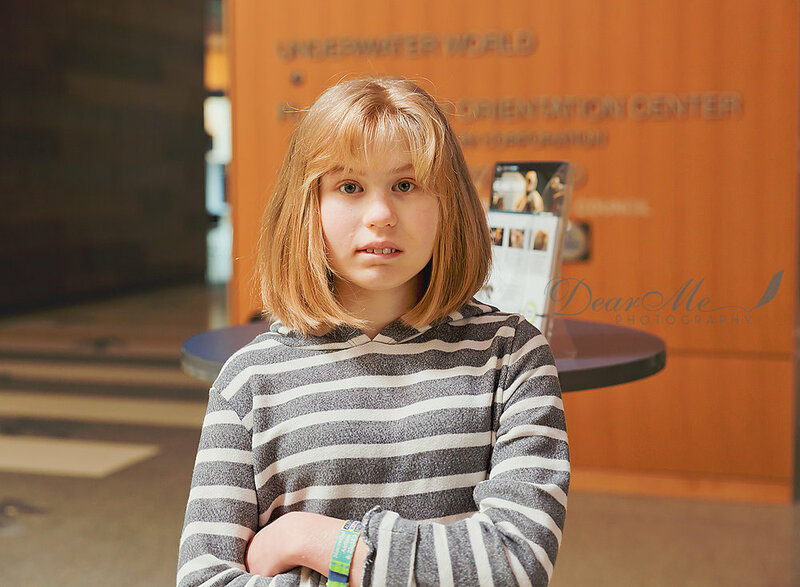 Meet Brooke, an amazing 15 year old girl diagnosed with autism when she was 4 years old. This was Brooke’s second year participating in Faces of Autism and she didn’t make me run as hard as last year. She even would stop and give me a moment to get a photograph of her! You can read last year’s story HERE. Brooke has been a complete ROCK STAR this year. 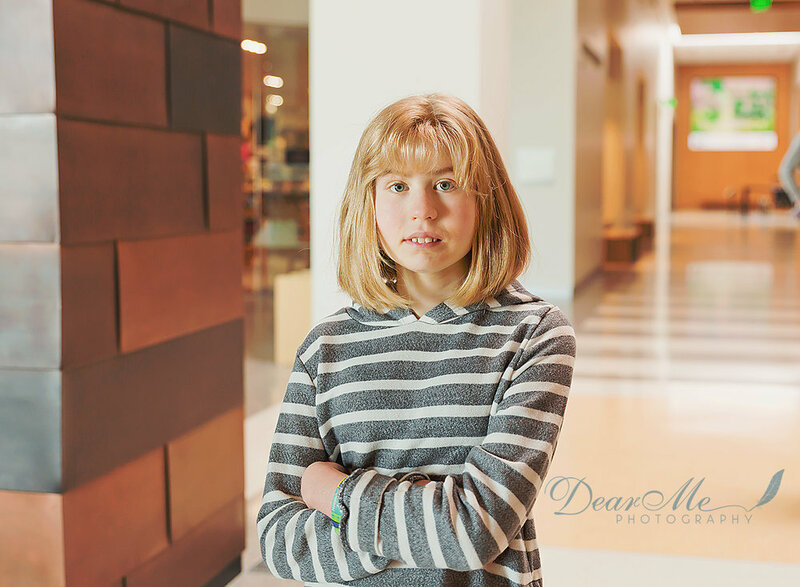 She is currently a Freshman at Century High School, the transition from middle school to high school was a scary one for everyone except Brooke. She was totally prepared. She has made great strides in receptive skills, following directions, patience, improved communication skills and social skills. She has enjoyed participating in the peer to peer program at Century High School – flag football and bowling were a complete hit. Brooke has also started taking an active role in household chores, not her favorite thing to do but she has learned to, with direction and supervision, take clothes out of the washer and put them in the dryer, fold towels, hang her clothes up and put them away, empty the dishwasher, put dishes away and make her bed. She is currently working very hard at learning to prepare her own meals, which is very motivating to her as she LOVES food. Brooke has an amazing personality. She is silly, sweet and has an innocent and refreshing way of looking at life, which makes her a joy to be around. If you let her, she can be the best teacher you will ever have. Her innocence is refreshing and makes you look at life differently. Brooke reminds you to slow down, breathe, and enjoy the simpler things in life. Brooke’s younger sister Amy says that “Brooke is the best secret keeper in the world, she will never talk about you behind your back and will always keep your secrets close to her heart”. Even though Brooke has made immense strides in communication and social skills, she still struggles in certain situations. Large and loud crowds overstimulate her. She has become easier to calm down but needs a lot of redirection. Brooke does not understand dangerous situations, stranger danger and she would wonder off if she was not supervised. Brooke really struggles with self care, if she did not have constant supervision she would not know to brush her teeth, wash her face, brush her hair or even get dressed or use the bathroom. Communication has been a constant struggle, Brooke is nonverbal however for those who know her she typically does a very good job of getting her point across. Brooke loves going for walks, swimming, riding her bike, going horseback riding, going to the park, swinging and riding on the 4-wheeler. Brooke loves going for car rides, she would make an excellent truck driver. Brooke is very much in her element in the outdoors, she would rather be outside than stuck inside. Brooke has taught those around her patience and acceptance. However, one of best lessons she has taught her family and close friends is how to slow down, enjoy life and reveal in the small things, the small steps forward and to love deeper. One of the biggest challenges for Brooke’s family is the busy schedule - school, therapies, doctor appointments, combining Amy's schedule and taking into account Brooke's unique needs and care.